Well, the weather was against us at the very beginning but by the end the sun was shining. We had a fantastic turnout this year, and special thanks to Angele (the U12B team manager) for organising everything and to Rolly for the trailer and tractor (once again!). Softball Manitoba has run a summer ‘ponytail league’ for a few years. Games are played on Saturdays although practices may be run during the week. As well, tournament dates are scheduled for July 22 (Brandon), July 29 (Winnipeg), August 12 (Portage La Prairie) and August 26 (location TBD). All age categories are welcome. Applications are due on 15 June. The form and additional information about team structure is available here: http://www.softball.mb.ca/english/news/2017-ponytail-softball-league.htm. If there are enough plays from within SMSA, we could form a team, but otherwise teams are generally formed based on region. 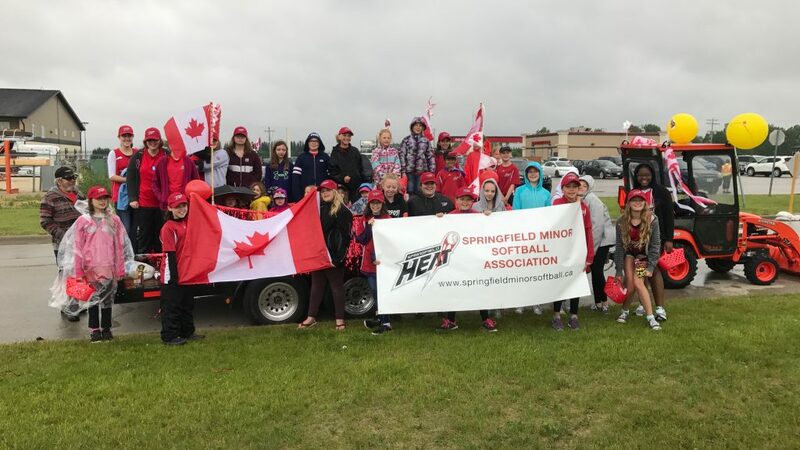 If possible, please let SMSA know directly (springfieldminorsoftball@gmail.com) if your daughter is registering so can track applications and the potential to create a Springfield team.